Two things stood out on the opening day of the Moravia Silesia Open presented by ALO Diamonds. Not only is the tournament name one of the most intriguing we’ve heard in years, the Irish sextet in action had a very mixed day in the Czech Republic and one of them is in big trouble. Point one. Michael Hoey missed a lot of fairways but shot a one under 71 that left him six shots adrift of the talented Argentinian Tano Goya. 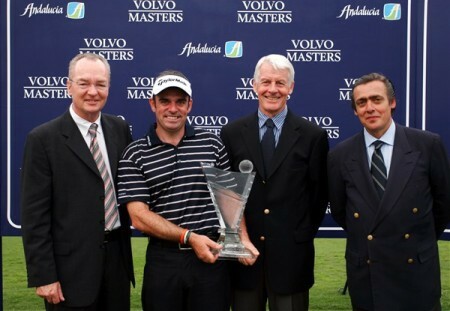 Amazingly, it was only the second sub par round by the Belfast man since he won the Estoril Open de Portugal nearly four months ago. Two. Shane Lowry will have to go low to make the cut after opening with a five over par 77 in his first event with new caddie Dermot Byrne on the bag. And three. If Lowry has to go low, Gary Murphy and Peter Lawrie will have to shoot the lights out to make the cut after signing for 79s. While Lowry is 239th in the money list, his Irish Open win means he’s exempt until the end of 2011. The situation is not quite so good for Murphy, who had four three-putts in his round. Ranked 145th in the Race to Dubai rankings, the 36 year old Kilkenny man is in grave danger of losing his card. In 2006 he was in a similar pickle but saved himself by finishing 13th in the last event of the season. He finished, as he put it later, in an ambulance. A quick look at his statistics shows that he is well below average for putting. So slim are the margins these days that one putt less per round would see him comfortably inside the top 80 on the tour. As things stand he’s 183rd out of 204 for putts per round and 163rd for putts per green in regulation. 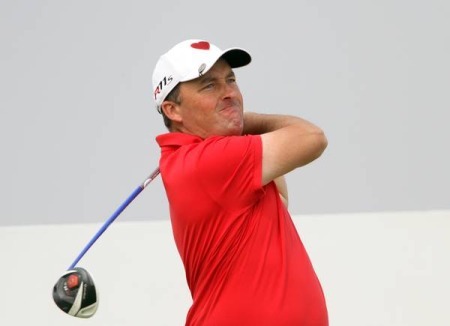 As for the rest of the Irish, the human cash register that is Damien McGrane - he's won €2.7million in 209 starts on tour or €12,976 per tournament - shot a one over par 73 to share 60th place with Gareth Maybin. McGrane started the week one place outside the top 60 who qualify for the mega-rich Dubai World Championship at the end of the season. Expect him to produce a result or two over the coming weeks. Dubai is a long way from Moravia-Silesia, which is located in the north-eastern part of its historical region of Moravia and in most of the Czech part of the historical region of Silesia. The region borders the Olomouc Region (to the west) and Zlín Region (to the south). It also borders two other countries - Poland to the north and Slovakia to the east. Now you know. Times are changing and Ireland’s new boys are finally taking centre stage on the European Tour. Entering the final round of the Moravia Silesia Open in the Czech Republic, Ulstermen Gareth Maybin (28) and Michael Hoey (30) have high hopes of walking away with the trophy. As 40 somethings Darren Clarke and Paul McGinley holiday in the sunshine with their children, Hoey and Maybin are making hay.